10 Most Common WordPress Errors And How To Fix Them #Infographic ~ Visualistan '+g+"
Let's face it: Even though WordPress has a simple and straightforward interface that provides a great experience to its users, it doesn't prevent anyone from encountering petty and serious errors. Fortunately, many of these errors have already been experienced and resolved by experts in the field. 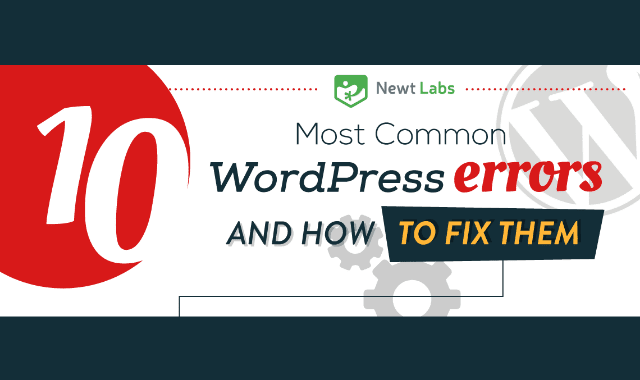 In this infographic, we will take a close look at the most common WordPress errors, their underlying causes, and how you can fix them.